With better weather now here in the Grand Rapids area, more homeowners are looking outdoors. The latest from Realtor.com, citing a Saber Grills survey, stated that now 83 percent of homeowners find their outdoor living space to be their favorite part of their home. Up until now, the kitchen has been considered the "heart of the home," but it seems that popular opinion is swaying in favor of outdoor living spaces, peaking homeowner interest and perhaps potential Michigan homebuyer interest as well. The survey found that "Midwesterners are the most interactive with their outdoor space. They update and accessorize most often and 75 percent use it throughout the week." Blame it on a harsh winter and too many months of snow, but we may see more Grand Rapids area homebuyers this summer favoring outdoor spaces and searching for homes for sale that have relaxing outdoor space to offer. It is being said that outdoor spaces are the new "heart of the home," especially as a whopping 81 percent of survey participants labeled it as such. With the survey's representation of today's homeowner, nearly half said they would update their outdoor living spaces as much as their favorite interior room. Adding a grill, special lighting, a pool, a hot tub, a TV and even access to WiFi are all important to homeowners in the Midwest— our region of the U.S. was deemed the most likely to add tech upgrades like TVs to outdoor spaces. "We've dubbed this group 'super relaxers," said a Saber Grills executive. "The outdoor space was a major factor in their home buying decision and they are very engaged in making it comfortable. This group leads the way in defining how an outdoor space can be used and decorated." 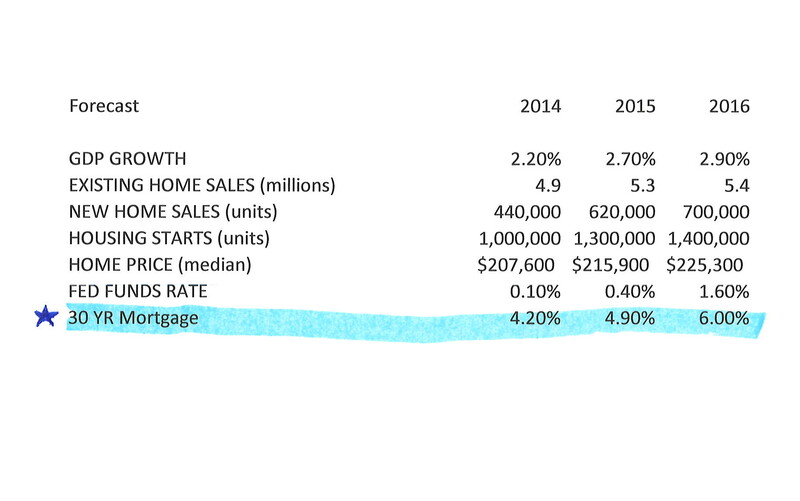 So, what does that mean for this summer's Grand Rapids homeowners who are preparing to sell? You may want to keep your outdoor spaces in mind as Michigan homebuyers may be paying close attention to the living space beyond your home's walls. Curb appeal also plays a major factor in helping the homebuyer feel welcomed to a home, not just in the areas surrounding the home's front door, but also side yards and backyards. Does your home have a clean and clear path to the front door? Is your front yard landscaped and free of weeds or overgrown grass, bushes and shrubs? If the home has a fence, it is stable and free of peeling paint or faded stain? In the backyard, is your deck an eye sore or a prized feature of your outdoor space? If you have a pool, is it well-maintained? These are all projects that Grand Rapids area home sellers can tackle this summer and get their homes ready for homebuyers who may be coming into the local real estate market over the next few months. If you're thinking of selling your home in Grand Rapids, Kent County, Forest Hills, East Grand Rapids, Cascade, Ada, Rockford, Northview, and Grandville, I would be happy to help! Let's discuss the best features of your home and how those play into what area homebuyers are looking for this season. I look forward to hearing from you! I happily serve the areas of Grand Rapids, Kent County, Forest Hills, East Grand Rapids, Cascade, Ada, Rockford, Northview, Grandville, Kentwood, Caledonia, Walker, Cedar Springs, Sparta, Belmont, Comstock Park, Byron Center, Wyoming, Alpine, Kenowa Hills, Plainfield, Cannon, Lowell, Sand Lake, Jenison, Hudsonville, Wayland, Belmont, Alto and Kent City. As spring winds down and summer draws closer, more and more homebuyers are beginning to come out for the busy season, especially as they start to notice local real estate market increases. Nationwide, inventory is finally seeing an increase (great news for homebuyers), as well as existing home sales and housing prices. According to a new analysis by CoreLogic, a global real estate industry firm, U.S. home prices saw increases up to 11.3% in the fourth quarter of last year compared to the previous year. "Limited construction of new homes and low inventories of existing homes for sale contributed to the jump," said one CoreLogic economist. Also contributing to the increases are the number of "traditional" homebuyers that are making the move into the Grand Rapids real estate market. Buyers that choose homes based on their own personal wish list and desire to stay put for a good amount of time. These traditional buyers are choosing homes based on certain features that appeal to their lifestyle, including their profession. So what types of features are drawing these homebuyers to homes in the Grand Rapids area? Or what will they be looking for as the summer buying season gets underway? One important factor is an easier commute! The National Association of Realtors (NAR) recently reported that "seventy-three percent of recent homebuyers said that commuting costs were an important factor when deciding whether or not to purchase." Homebuyers are now weighing the benefits of being close to work as well as having shops, restaurants, schools, and transportation nearby. As of late, buyers are now factoring these into their decision to purchase a home in the Grand Rapids area. Homebuyers want to live close to their workplace and as a result, that is driving up housing prices. "It creates a positive feedback loop; the more skilled workers employed in an area, the more others want to move there." Neighborhoods also benefit from having such skilled professionals in the area as it raises the profile of the community and thus, the value of the homes. It's also a great selling point for those who may currently be living in a coveted area— so, Grand Rapids area home sellers take note! In addition to the commute time, homebuyers in Grand Rapids, Kent County, Forest Hills, East Grand Rapids, Cascade, Ada, Rockford, Northview, and Grandville are looking for neighborhoods that are walkable. Not only do they want their Michigan homes to be close to their workplace, but also in easy-to-navigate and walk-around neighborhoods that offer a mix of homes, stores, and businesses. According to a National Association of Realtors Community Preference Survey, 60% of those looking to purchase a home agreed that they chose a home based on its walkability and proximity to such shops and businesses. What's important to you as a Grand Rapids area homebuyer? If this is the year you're planning to buy a new home, we can work together to find a home that meets your criteria, in a great neighborhood and with your home wish list features. Contact me today to discuss which homes are available for you! Remember, just because you're moving to a new home, doesn't mean your current home doesn't have positive features. It's important to play these up and display them in a positive light for homebuyers who are ready to buy Grand Rapids area real estate. One of those features is storage; renters are making the move to buy a home exactly for this reason. “One common beef of renters is that rental homes lack storage, which leads to belonging overflow and a cluttered life,” MSN Real Estate reported. “So, if your home has been tricked out with extra closets, pantries or other built-in storage amenities that you plan to leave,” you'll want to point that out to homebuyers! One of the most important features of a home is one that saves the owner money in the long-run. If you've upgraded your home with eco-friendly or energy-saving appliances, windows or the like, homebuyers might take an added interest in the property. Buying a home in the Grand Rapids area is a big decision and existing home features that cut costs are a huge asset. It's also important to keep in mind, “if you’ve managed to get your energy bills down way below what’s normal in your area, [that] could be a selling point you don’t want to overlook,” added MSN Real Estate. Is your home located within walking distance or easy driving distance to local shops, entertainment or great schools? Make sure potential homebuyers are aware! It's all about location in real estate and if your property happens to be placed in an ideal area, you're already ahead of the game. What can help is thinking of yourself as an outsider when it comes to highlighting the location. Don't always assume potential a Grand Rapids homebuyer is familiar with the area. Now that most buyers begin their home search online, they tend to search homes by price rather than location— your tips about the property being in a great school district just may make your home a buyer's must-buy this year. Your Michigan real estate agent is on your side, so ask your questions! This is likely the biggest purchase you will ever make and you'll want someone in your corner, an experienced professional who's done this before. I will work on your behalf and navigate the entire transaction with your best interests in mind. 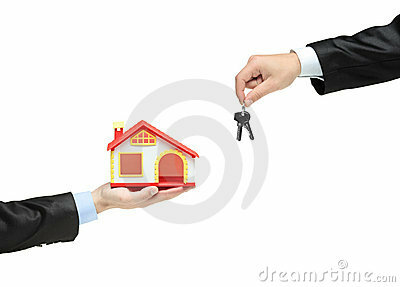 According to the National Association of Realtors, "nearly 90% of homebuyers use a real estate agent or broker." Think of your Grand Rapids real estate agent as your communication hub, all questions and concerns should go through them and don't be afraid to ask. With my help and experience, we can find you a home that fits your needs and at the right price. Making an offer on a Grand Rapids home is a big step, but don't be too quick to rush into your home purchase. Do the research and know what you can afford. It is wise to begin with a pre-approval letter, which means that a lender has vetted your credit and financial situation and is still willing to go through with the mortgage process. This letter is key; it will tell both the home seller and your agent exactly how much you can afford and show that you are serious about purchasing the home. Once you have your pre-approval letter in hand and are ready to submit an offer, you can make a deposit in your future with earnest money. You're moving along in the Grand Rapids real estate process and are ready to show the seller that you have the funds to back up the offer. It comes down to the "deposit" or earnest money you will put down on the property. When buying a home in Grand Rapids, it is customary that you put this money down to show you are serious about the purchase; it is typically 1-2% of the purchase price. You've probably found a list of homes for sale in Grand Rapids that you're interested in and are ready to move forward. One of the most important real estate rules to remember is to tour the home in person. You should tour the home to see for youself if it is a good fit for yourself and your family— there is a chance a home may just not feel like the right one. Homebuying tends to be an emotional experience and you will want to begin by placing yourself directly inside the property, not just in front of your computer screen. You will soon learn, or if you've purchased a home before then you know, that buying real estate requires quite a bit of paperwork and specific documents. Many of these will come from you— so be prepared with everything you need. Round up the documents— these may be W-2's, tax returns, or tax forms like a 1099 if you're self-employed, any document or form to show your income over the past few years. In fact, the more assets you can show, the better. Lenders will want to know you have the ability to repay the loan, in addition to mortgage insurance. Many will even want to see a set of "reserves," or savings that can cover more than one mortgage payment. Two months or more of these "reserve" funds will show a lender you are prepared to make your payments and will be in good shape when they begin assessing your financial situation. It's tax time, but don't be late on filing your returns! Many of the important documents associated with buying a home in Grand Rapids will come from your tax returns, both past and present. Why? Mortgage lenders like to take a look at your tax returns to prove your income. When you file on time, you are on track to showing a lender you're ready to make that purchase. But no matter if you owe taxes and are making payments now, or if you're planning to file an extension, the lender will still want to see the documents, so have them at the ready when your Grand Rapids home search begins to progress. It's the season for spring cleaning and you shouldn't leave out your finances. Now is the time to do some research on your credit score— this way you can find and fix any errors that may come up before you purchase a Grand Rapids home. Errors on your credit report do happen and it's important you take the time to fix them before you begin the serious homebuying process. Depending on the error, these can often tax months to correct, so get a head start this spring. You've taken the steps to prepare your finances, you've spot checked and cleaned your credit score, and you've got a few homes or even the neighborhood in mind. Next up is speaking with your Grand Rapids real estate agent to get the ball rolling. Do not rely solely on the internet as your primary source for Grand Rapids area real estate, your agent is key! The market is changing and your agent, as a local expert, will be able to fill you in on the status of the market in your area. Feel free to contact me this season as you prepare to buy a home in the Grand Rapids area, I'm happy to help! I can work with you through the entire process and fill you in on more steps to take to ensure real estate success. With rates still considered low and housing prices rising, many Michigan homeowners are ready to sell. However, this spring it won’t be the number of bedrooms or square footage that will draw homebuyers— it’s all about the neighborhood. The neighborhood not only helps your Grand Rapids homes hold their value when you’re ready to sell, but it is also a major factor that will seal the deal for prospective Grand Rapids homebuyers. If you’re a current homeowner and are ready to sell your Michigan home, consider your neighborhood— is it what homebuyers are looking for? The neighborhood is ultimately what will help you get into a new home this year. Again it will vary by homebuyer, but the best neighborhood is the one that will meet a specific buyer’s wants and needs. In your Grand Rapids home search, you will likely come across properties that you love, but they maybe aren’t in the school district you’d like or aren’t close enough to work. It’s important to keep your wish list in mind when house hunting. 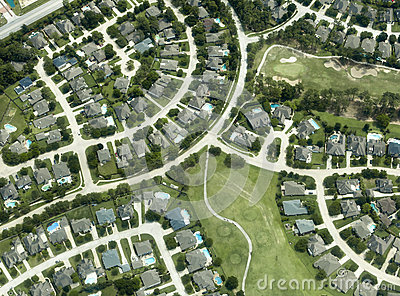 Every buyer is different and your ideal neighborhood will vary from the next buyer. For instance, do you want to be close to shopping, but also local parks? Keep that in mind as you shop for homes in the Grand Rapids area. Don’t be afraid to ask the neighbors for their opinions on traffic, noise, and pros and cons— especially if you find a home that you are particularly interested in. Before you take that next step in the homebuying process, act like a local and do the research. When you visit with neighbors, talk to others out and about, you can often get the insider’s perspective on a neighborhood. Acting like a local also includes getting a feel for the area by visiting local shops and attending open houses. For Grand Rapids area homebuyers, one of the big selling points of a home is its proximity to shops, entertainment, and schools. When you’re ready to sell your Michigan home, a great sign you’re in a great neighborhood is the presence of new businesses— including restaurants and especially, coffee shops. These new locales are great indicators that the neighborhood is stable and growing as new businesses in typically do market research to determine the best spots to invest. When you’re shopping for a new home, you can be looking for these new businesses and make a note of the up and coming spots. 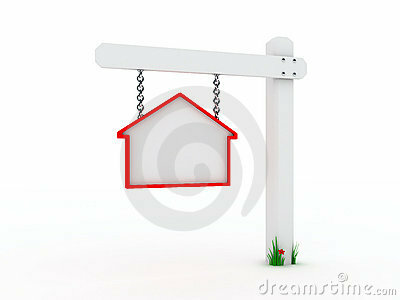 Ready to buy a new home in Grand Rapids this spring? Contact me to help you begin your home search and find a home that meets the terms of your own homebuyer wishlist, in the best neighborhood possible. If you're in a position to sell your home this year, I can help you attract the right buyers and showcase the best aspects of your property. As your Grand Rapids area real estate expert, I am happy to help with your home search and determining the right neighborhoods, including those that have high homeownership rates. Many times homeowners don't desire to do all of the heavy lifting themselves in a big move. Taxing belongings from one property in Grand Rapids area real estate to the next can be tiresome— in which case you will need a moving company. But it can be tough to find a reliable moving company, especially if this is the first time you're hiring one. Many times, real estate agents have a recommendation and can refer you to one of their own. As your Grand Rapids Real Estate expert, I am happy to discuss referrals for these types of companies. There is no such thing as too organized when it comes to moving to new homes in Michigan. 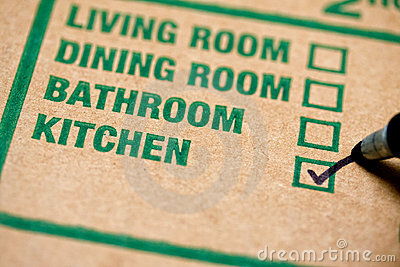 Make a timeline for your move and all of the necessary parts and steps that will be involved. Break down the tasks that you should be doing each week and the pieces that should be moved during which times. 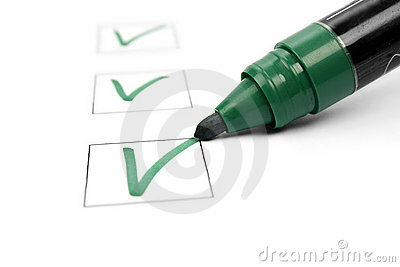 It can also help to color coordinate boxes and keep a log of them with your timeline and checklist. The earlier you start, the easier it will be come moving time! Oftentimes homebuyers, particularly first-time buyers, do not estimate the amount of money it might take to move to a new home in Grand Rapids. Have questions? Real estate agents are always better equipped to discuss the budget of a move and what to account for in that budget— always contact your real estate agent with uncertainties in this area. Remember, they're local, they know the area and can attest to local rates and company pricing. If your budget is tight for your move, your agent will be able to help you get it down to the essentials and keep costs low. Again, finding the right moving company and all of the other services you'll need for a move can be difficult. It's helpful to get recommendations from friends, family, and your local real estate expert who can guarantee a reliable, trusted service for you and your move. You'll save time and money in the long run when you use a trusted company with a proven record. KCM even recommends real estate agents "provide [their] clients with a list of people [they] recommend, including a cleaner, exterminator, interior decorator, handyman, contractor, and anyone else [they] find necessary or helpful to clients during the moving process." Prepping to move to a new home in the Grand Rapids area this spring? As your local real estate expert, I am happy to discuss what you may need to make your real estate experience this season go according to plan. Don't hesitate to contact me with any questions you may have about the local real estate market, especially as we head into this exciting and busy time. When you purchase a new home in the Grand Rapids area, there are a lot of documents and paperwork to look through, sign, and understand. As this is one of the biggest purchases you'll likely ever make, you want to have a professional in your corner to make sure you're making the right moves. For instance, every state has different regulations and contracts required to complete a successful real estate transaction. Especially if this is your first time buying homes in Grand Rapids, a real estate agent will be able to walk you through each stack of paperwork necessary to make your homebuyer dreams come true. 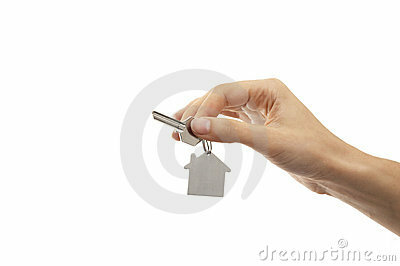 A real estate agent in the Grand Rapids area knows each move you need to make to successfully purchase a new home. Did you know, according to the REALTOR Assocation, there are over 230 possible actions that need to take place during every successful real estate transaction? When you team up with a Grand Rapids Real Estate agent, they will know these steps right away, having completed successful sales in the past. You can rest assured, knowing that your home sale is in good hands and will soon result in your owning your dream home. Like paperwork, the negotiations associated with buying a new home can be overwhelming. KCM advises, "After looking at the list of parties that you need to be prepared to negotiate with, you'll realize the value in selecting a real estate professional." As a homebuyer, you'll need to negotiate with the seller (who will want the best deal possible) and vice versa if you're a Michigan home seller in the Grand Rapids area. There are also many industry professionals you'll need to learn to correspond with during your home purchase like home inspectors, appraisers and more. As you may have noticed in recent months, home values are appreciating. This is a changing factor in the local real estate market and a real estate professional will know how to approach them from both sides of the transaction. For instance, the typical agent-assisted home sale sold for $230,000 as compared to $184,000 for those who did not use a real estate agent, reported the National Association of REALTORS. As a home seller, it's important to know the pricing strategies that will work for your area ahead of time to attract the right buyers and shorten the length of time that the home will sit on the market. You also need someone who can give you an accurate assessment of what your home is worth in comparison to others in the area. There is so much more going on in the local real estate market than you may understand or notice. Your Michigan real estate agent will know all of the in's and out's of local areas and real estate in surrounding communities. You may see a lot of information on the news or on the internet, but your agent will be able to tell you how much of that can apply to you and your area. Finding an agent who is armed with all of the knowledge of a local expert will make your experience an educated one and run much smoother. Don't forget to buy your tickets for a great charity event on March 24, 2014! Mark Brace & his wife, Kara Brace will be working this wonderful event! Taking place in the Steelcase Ballroom at DeVos Place, this 2nd annual event is benefiting our local Kent County Humane Society. Humane Society of West Michigan is excited to present the 2nd annual fund raising party, Paws, Claws & Corks! This extravagant event will feature the hottest restaurants, breweries, and wineries in West Michigan. Guests will enjoy fabulous cuisine, wonderful wine and beer samples, as well as opportunities to bid on exciting packages including adventures, trips, wine, sports memorabilia and much more! Most importantly, money raised will benefit the Humane Society of West Michigan in our mission to promote the humane treatment and responsible care of animals in our community through education, example, responsible placement and protection. Corporate tables are $1,000 each and include reserved seating for 10, corporate signage, quarter page ad in program book, and complimentary wine at each table. Reserve your place at this once a year evening by contacting: Tammy Hagedorn at thagedorn@hswestmi.org or 616-791-8138. You won’t want to miss it!